As you can see, chillies are used worldwide in making different medicines and beverages too. Red Chillies are popular for pungent flavor and suitable to use with different food items for interesting flavor. When chillies are dried, they are used inside curry dishes. It can also be used for seasoning and taken as essential ingredient for curry powder. It is also used inside sauces. 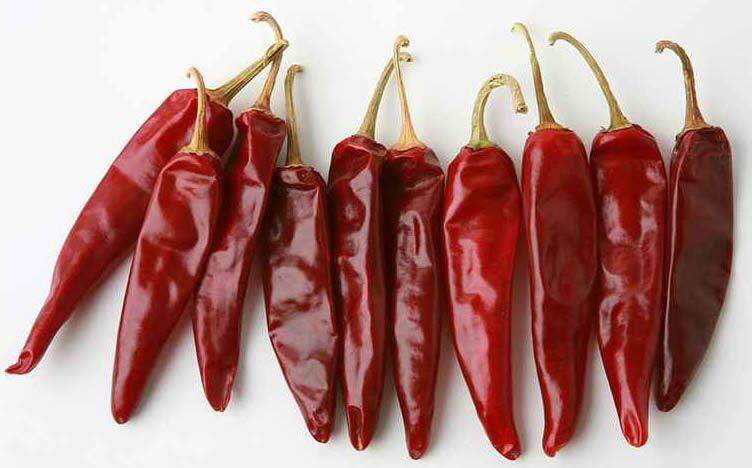 Red chillies are also used as color agent to give natural color to different spices and food items. Red chillies when used as medicinal herb, it is good for treating multiple types of cancer and taken as immense source of vitamin C.
Exported Mainly : : Vietnam, Thailand, Malaysia, USA, Sri Lanka, Uk, Indonesia, Mexico, Singapore And UAE.